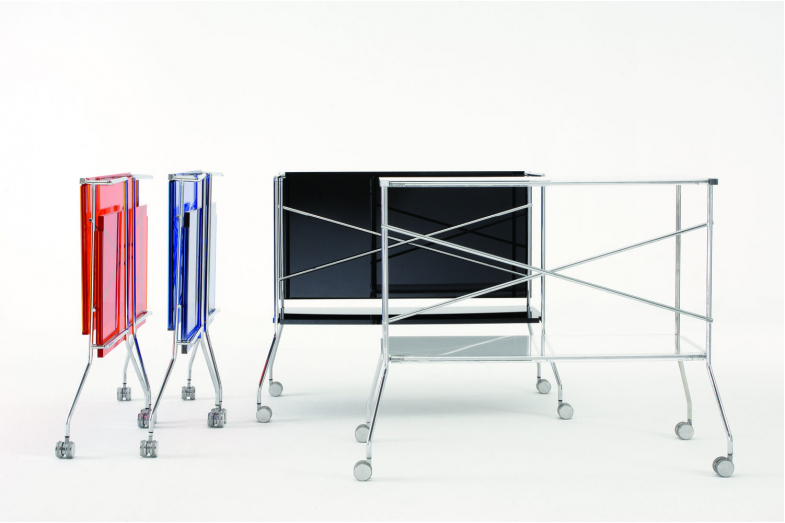 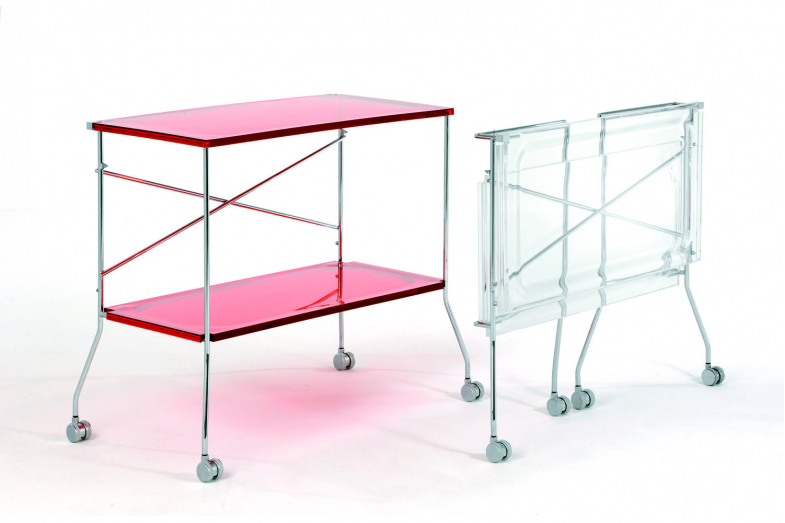 Kartell brings transparency to the world of trolleys, and thus we have Flip, the folding trolley which combines the transparent plastic surfaces of the trays with a metal frame. 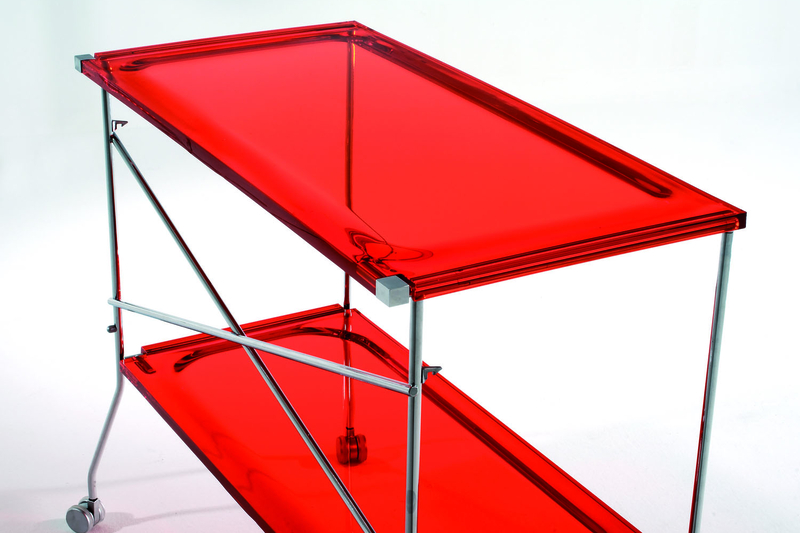 The tray is made of polymethylmethacrylate and can be used separately. 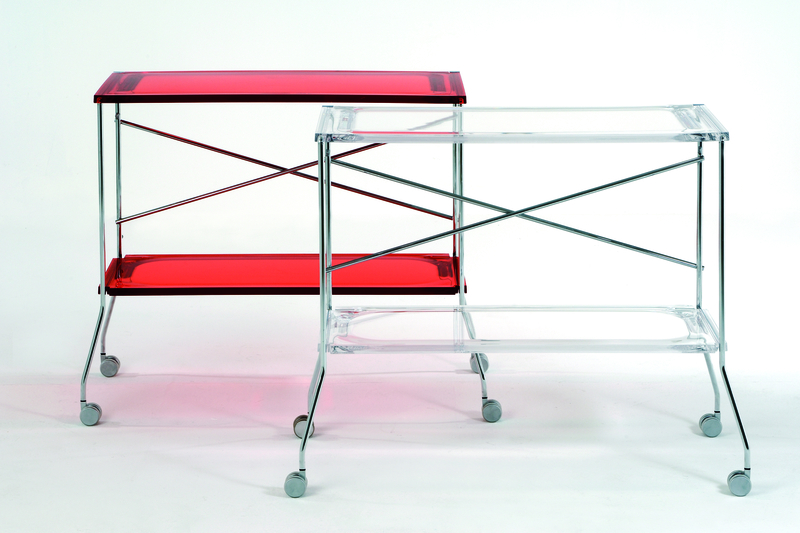 Their lenticular form is the ultimate expression of functionality and design aesthetics. 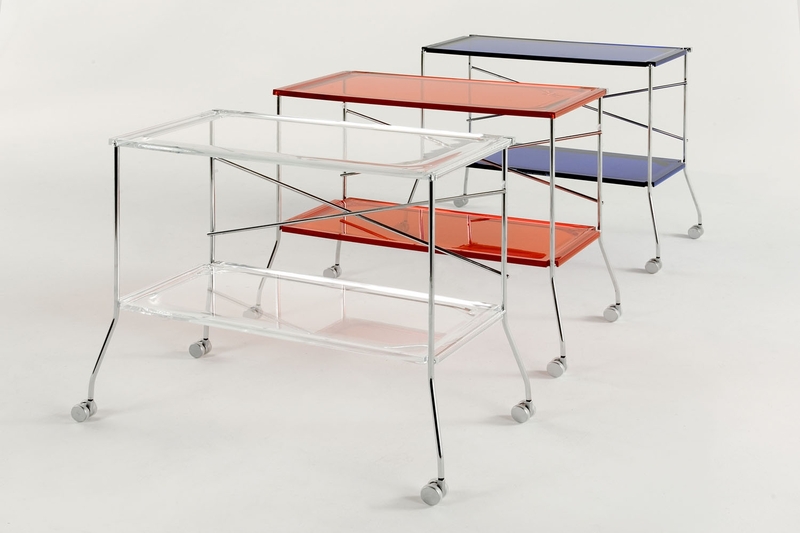 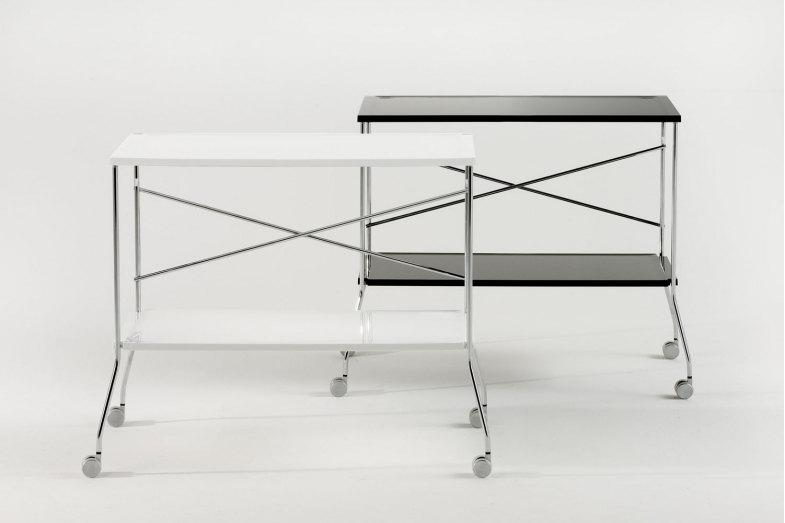 Flip can be used as a trolley perfect for aperitifs and buffets but also comes in handy as a side table. It folds away for easy storage occupying a minimum of space.